Today’s post focuses upon the battle between the leading energy firms in the U.K. and the Conservative Government who, in a move designed to show the Government’s focus upon the ‘shared society’, recently announced that, if successful in the upcoming general election, the party would establish price controls upon energy bills. For this post the focus will be on the details of the Conservative Party’s plans (which admittedly are not detailed at this stage) and what it may mean in the grander scheme of things: if the Tories deliver on the pledge it will signal a remarkable turnaround in approach, and if they do not (or if they dilute the effect) the result will be a clearer indication – if that is even necessary – that the notion of the ‘shared society’ is nothing more than a soundbite. In the run up to the general election in 2015, then Labour leader Ed Miliband announced a ‘freeze’ on energy bills, if he were to be elected, that would last for two years whilst the sector was reorganised with the aim of promoting healthy competition. The reason why this post starts with this point is because, today, many media outlets are keen to point out the similarity to Theresa May’s current manifesto pledge. Yet, the Conservatives argue that their policy of putting a cap on the rate at which energy bills can increase is different to that of Miliband’s due to a lack of a ‘freeze’ on increases. The bickering between the two main political parties (maybe now a contested notion after recent local elections) has continued unabated, with the Conservatives labelling a similar pledge by the Labour Party to intervene in the housing marketplace (in 2014) as ‘Venezuelan-style’ price controls. With regards to the energy-price issue, leading Conservatives branded Miliband’s plans ‘Wonga-like’ (after the notorious payday loan company), ‘extremely dangerous’, and ultimately ‘Marxist’, but now label May’s plans as an action to ‘end injustice’. The political and arguably baseless game-playing which is dominating this election cycle is a story for another day, but for us here the focus should be on two things: firstly, the micro-view is concerned with the effect that this pledge may have upon the marketplace and, consequently, the public; and secondly, the realisation that should occur if the Conservatives decide to act on this pledge or not. The first point to make is that the large energy firms are aiming to resist that regulation of their prices. 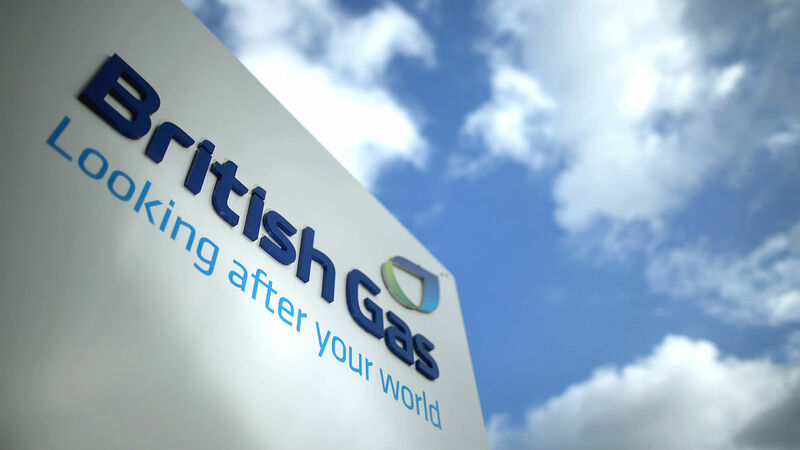 The first firm to raise its head above the metaphorical parapet is Centrica, the owner of British Gas. Aside from the pledge from Theresa May, Centrica have warned that the plans will most likely result in the average price for its products going up which, when combined with the fact that Centrica is currently haemorrhaging customers at the potential rate of 1 million per year, ultimately means that it will be difficult to put a cap on the prices that these large firms can charge. Experts have been quoted as saying that British Gas’ prices could raise from between 5 and 10% as soon as this June, meaning that for millions their bills will skyrocket in August – precisely the opposite of what Mrs May is pledging. The company stated yesterday that ‘Centrica does not believe in any form of price regulation. Evidence from other countries suggests this will lead to reduced competition and choice, and potentially higher average prices’, which one Conservative MP, John Penrose, argued ‘isn’t sustainable for the big six to threaten they’ll scrap their cheapest tariffs. They would condemn themselves to a slow commercial death’. However, one commentator suggests that reality of the situation is that those customers who have switched to the cheaper tariffs will be punished for doing so, as the rate cap will only apply to the Standard-Rate Tariffs and the energy companies will increase the prices of their variable-rate tariffs to offset the loss that Theresa May’s plans would create. Whether or not it would play out like this remains to be seen but, existentially, the issue is one of ideology above all else. This can be seen in the recent news that Conservative MPs are planning to do battle with Theresa May over the policy because, as noted in one newspaper, a number of Tory MPs ‘feel the plan is far too interventionist for a Conservative Government’, with Theresa May herself reaffirming ‘… we are Conservatives [and] we believe in free markets and competition’. The issue of whether the cap would lead to price increases has conveniently been swept under the carpet in favour of this (potentially) ideological shift – the Business Secretary, Greg Clark, has confirmed that this will happen if global prices increase, incidentally – but in truth there will be no shift in ideology whatsoever, with the reality of the situation likely to be that the Conservative manifesto contains pledges so vague that amending them post-election will be no great task. The Conservatives, rather shrewdly, are embarking upon a campaign to decapitate their political rivals by doing what they do, but from a position of power – a fact seen by the annihilation of UKIP with the Tories now becoming the Brexit Party, and now with the supposedly interventionist angle that Labour is supposedly designed for. The key will be to see whether the Conservatives stick to their pledges after they come to power, which is looking increasingly likely. Ultimately, the ideological battle taking place in the energy sector is one that should reveal the reality of the situation to the public. The pledge by Theresa May to lower energy bills for families by up to £100 annually will not be seen if the proposed cap is simply raised by a general raising of prices on behalf of the big six energy companies. However, the fascinating element will be to see if the British electorate believes in the Conservative pledge to intervene in the marketplace, which in itself is a marked reversal of their cherished ideology. If the electorate does follow this line of understanding, then it effectively nullifies the Labour Party, and what that means for British democracy is another matter entirely. The focus of many of these posts in Financial Regulation Matters is on the Conservative Party for one reason and one reason only; it is not through any political bias, but only because at this point in time the Conservative Party are particularly dominant in the British political arena. However, as the old British saying goes; ‘the proof is in the pudding’, and it will be for people to realise the effect of believing in this apparent ideological shift. If, at this point next year, the energy bills for British homes have increased, then it will be clear to see that there has been no such shift – but will that even matter? The energy firms are insistent that they will not lose money because of this, and ultimately, that is the most telling factor. Yesterday Warren Buffett discussed the ‘standard capitalist’ stance in relation to his firm Kraft-Heinz’s failed takeover attempt of Unilever – discussed previously in Financial Regulation Matters – and it is within those parameters that we need to view the recent political bickering – the ‘big six’ energy firms will utilise every resource they have to maintain their current record profit margins and that, unfortunately, is the likely outcome of this story; soundbites like ‘shared society’ are exactly that… soundbites.